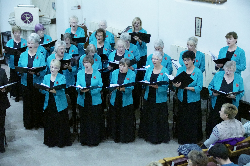 Based in Atherstone near Nuneaton in North Warwickshire, Atherstone Choral Society CIO is a large choir drawing its members not only from Atherstone but from a wide geographical area including Nuneaton in Warwickshire, Hinckley in Leicestershire, and Tamworth in Staffordshire. 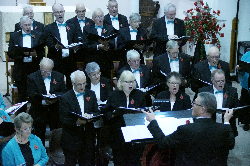 We are a non-audition SATB choir with approximately 75 members which has been performing a wide range of choral music for more than forty years since our inaugural performance of Messiah in 1974. 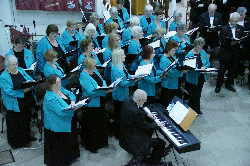 ACS is happy to welcome new members whether novices or experienced singers. ​We are always looking for new talent. If you would like to join, you are welcome to come along any practice night, but please contact the Membership Secretary before you do, to check what is happening that night, and to ensure a warm (and prepared!) welcome. Tenors and basses are specially encouraged to come along to any rehearsal. We meet at Racemeadow Primary Academy, Ratcliffe Road, Atherstone CV9 1LT. Kevin was born and educated in North Yorkshire. He studied music at the Birmingham School of Music (now Royal Birmingham Conservatoire). 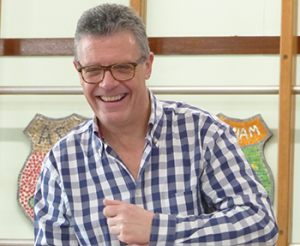 In addition to ACS, he is organist at St James The Great, Shirley; accompanist for several local choirs, including BFCS (Birmingham Festival Choral Society), and a music teacher and examiner. Our accompanist is Robert Ramskill M Mus, PhD. Bob was born in Leeds and studied music at the University of Wales, Aberystwyth. He now lives in Coventry where, for many years, he was a senior lecturer in Coventry University Music Department. 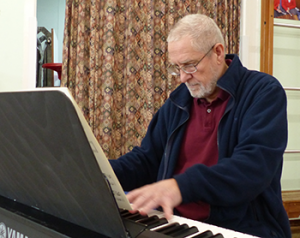 Bob became our accompanist in 1994 and arranges much of the music for ACS, for which he has gained a well-earned reputation for its excellence.